MAR 26, 2019 - New Time Tables! New Flight Strips and Vehicle Strips! New Terrain including Lake Intahoe! New Avatars System! Tow tugs! V1900D aircraft! TAF! Q-Pressures! Calvert ALSs for Runways 16-34! And many many more new features, changes and fixes! DEC 30, 2018 - specialized bug fix build. Fixed serious Flight Scheduler \ ATC Taxi resolution bug. DEC 17, 2018 - Skills, Leveling, Terminal 2, Jetways, Service Hangars East, First Heavy Aircraft, New Shadows Model, Hot Air effects and tons more! The biggest update in history of Airport Master development! AUG 28, 2018 - Fully working Apron 2, Cargo Flights, ULDs, Game Difficulty Setting, New Fuel Balancing System, More Accurate IFR procedures, A305 Helicopter, New GSEs! MAY 25, 2018 - Working runway 16-34! 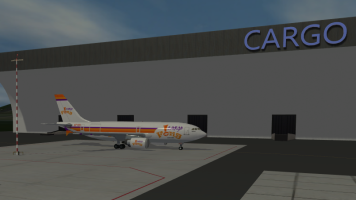 First cargo aircraft in the game! Cargo loader GSE! Radar screen de-clutter controls! Financial graphs! Improved go-arounds! APR 08, 2018 - Service contracts! Airport Upgrade Tiers! New Runway and Apron 2! ATIS!! Terrain preloader! Huge cumulative public alpha update! FEB 02, 2018 - closed alpha build for CAT-group to start the bug-hunt in a preset testing environment. Fixes based on this targeted CAT will be included in the next public release. JAN 05, 2018 - Helicopters are here! New multi-channel CommBox! New ATC and service vehicles procedures! NOV 27, 2017 - closed alpha build for CAT-group intended for testing interoperability of PC, Linux and Mac versions. Testing of optional multipass-shaders on Linux and Mac. JUN 22, 2017 - This is a service mini-update. It fixes two gameplay-critical bugs found by Airport Master players after the release of v.0.2.1a. Savegames created in 0.2.1a are readable in 0.2.1.1a. JUN 19, 2017 - Solar energy upgrades! Centralized staff-management and salary-management system! New J58 aircraft fleet in 5 different liveries! See change log for more details! MAR 17, 2017 - Vending Machines Upgrades! L20V, new flight scheduling, and two more pages of new features and bug fixes! See changelog for more details! MAR 8, 2017 - closed alpha build for testing interoperability of PC, Linux and Mac versions. Testing of new weather engine. FEB 19, 2017 - Crowdfunding campaign for Airport Master is now available at Airport Master IndieGoGo Campaign Page! FEB 17, 2017 - Airport Master is now available as Steam Early Access! JAN 08, 2017 - PC13-NG is now out of 3D-moddeling and went into repaints! 3 to 5 liveries for this type are expected as of the next alpha release. Another great news comes from Tony, who was able to help us again with the sounds of the real PC12 recorded at the airfield! So hear hear! PC13-NG will be included in the comming v.0.1.7a of AirportMaster with all those great features ) p.s. we would really love to share the sound of this beautiful turbo-prop (but the way we handle sounds in Airport Master - it is better to wait for release of v0.1.7 so that you could hear this bird in action - and see it in all glory too))) Happy holidays, guys! Stay tuned! DEC 20, 2016 - The most massive Airport Master Alpha update: new TimeSkip feature, new ground lights and ground details, new airport fees, new game mechanics, over hundred items added and\or fixed in this alpha release and of course E30P aircraft in 5 different liveries added to the game! DEC 10, 2016 - Starting with v 0.1.6a (TBR: DEC 20 2016) we will gradualy introduce MLMB4Ts (multi-layered multi-blended 4K textures) into terrain around airport. MLMB4Ts are genuine 4K-resolution meaning Players with latest video cards will get the best rendering quality, thou players with older video cards (specifically with less video-memory onboard) will also enjoy great quality as MLMB4Ts mip-map naturally to capabilities of a video board on game loading! DEC 07, 2016 - New Airline - SkyFly - will be added to the game in v. 0.1.8a - themed as connection airline, which also contests part of TravelAir's routes including those to Player's airport, SkyFly's fleet will include two PC13s and most probably a V200 actualizing the plane specific aspect of game's management gameplay. Player will decide the fate of the competition between less comfortable cheaper single-engine turbo-prop and more expensive dual-turbo-prop with higher comfort for passengers (and more trouble as to service for operator) - this game mechanics (if successful) will be used further to emulate the battle of airplane concepts throughout second half of 20th century and will influence Airlines' fleets and business models. NOV 30, 2016 - First delivery of Endrewer Phantom 300's (E30P, real world prototype Embraer Phenom 300) to BusyJet. N751S and N226U are joining BusyJet fleet, more E30P's are to be delivered later this week to other operators including 3 private colorful liveries - all will become available in v.0.1.6a Aside from currently available free-play mode (infinite airport management mode), we're starting to build up for Career Mode in which player will have specific goals to reach - in Career Mode, important story line is competition between BusyJet and TravelAir. 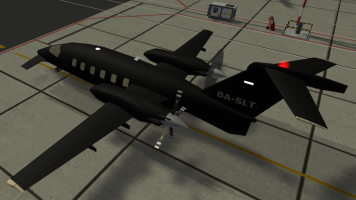 Starting with E30P, aircraft in Airport Master (those that are equiped in real world) will feature ground spoilers functionality and air-interceptor functionality. First in-game aircraft to have ground spoilers implemented will be E30P (real-world prototype Embrarer Phenom 300) - it will have fully functional ground spoilers operating during control surfaces check, after landing untill ground speed reaches 40kts and on rejected takeoffs. In later versions of the game, larger aircraft will also use spoilers as air-interceptors (mostly during speedy descents in TMA for maintaining descent profile while preserving airspeed according to ATC-set limits). Thank you for upvoting Airport Master everyone! Keep it up and playable version will soon become available on Steam. We knew that aviation fans (and fans of the airport management game genre)) will definitely like what we do! We got tons of positive feedback from you guys on Steam, FB and Twitter this week we are realy glad that what we are after matches with what you like - it's true: this game is all-serious about aviation - no nasty designed-fantasized aircraft with engine-placement that would flip the aircraft over on ground, no ILS-antennas and light-bars of unrealistic sizes and definitely no planes comming out of nowhere - Airport Master features a real virtual airport and everything in and around it. So yeah, it will rock as a final product! As for eye-candy - let us put this way: adding more detail to asphalt on apron and concrete blocks or rusted iron impression to control tower balcony support bars is definitely not the top priority in development, however all of it will be added later - for now we press forward on realistic weather (volumetric clouds, rain, haze, fog etc. ), we also model every aircraft to very very detailed state possible within our poly budget - don't forget the late game airport would have 2 runways, 3 aprons, airline, G/A and helicopter traffic, many ground service vehicles all in one scene - so we must be very carefull with polygon budget on this product to allow the final version to run smoothly on at least 5-year old machines. Hope you liked the update and stay tuned for new version release in about 1 week (currently we do monthly alpha releases) - and we're open to your ideas and suggestions - use Steam, Facebook or Twitter (see links on every page of our website below) to contact us if you have what to say! Thanks again for many upvotes this week!